Human resource management will play keyrole in development of organization; the inception of an employee will place at recruitment department. It’s always hectic to post jobs on career sites and current openings page. Job seekers will notice if they are on your site or if they have gone through your career page, which leads to less number of attendees and more time to search for right candidate. It doesn’t matter whether you are a recruiter from organization or consulting company, always need to wait for more candidates to appear so that you can select best talent. How are you posting jobs? With ATS? Are you getting adequate number of attendees? Found talent, you are looking for with job you posted on career page or job portal? If your answer is no, where are you lacking then? What drags you back? Facebook has over 1.5 Billion users among those 79% of users using mobile phones to access Facebook. 52% of job seekers use Facebook to look for work. 84% of job seekers have Facebook profiles. 81% of job seekers want to see job opportunities on Facebook career page. Twitter stands as second powerful social networking site. Next to Facebook, Twitter has 1.3B users from all over. Twitter has Monthly Active Users 288M. 80% twitter active users are from Mobile. 500M tweets are sent per day. Twitter can be most successful in terms of hashtag because if you post any job on Twitter with hashtag and jobseekers is using same hashtag in his search then your job is done in searching the candidates. LinkedIn is an obvious choice for most recruiters and for good reason. LinkedIn is professional social network with genuine followers and employees of an organization. Most companies use LinkedIn as their job portal for recruitment. Over 25 Million LinkedIn profiles were viewed every day. LinkedIn has 42 Million unique visitors per month. 13% of LinkedIn user doesn’t have Facebook profile. 59% of LinkedIn doesn’t visit their Twitter profile. These are the stats of social networking sites and their influence on recruiting. If you are posting jobs on social sites then you’re making space to rank yourself, as shown in stats every social network has its own mark. Facebook is having most of users, Twitter has scope to find the exact job post and LinkedIn is most used by professionals and jobseekers. Most of the organizations are active on social networks and post content social pages with blog posts, images and videos. Are you using social networks as your job portals? No! Why? 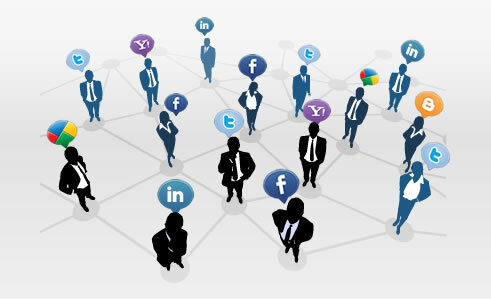 You may face following hurdles in using social networks as job portals. Need a specific person to post jobs on Social profiles. Difficult to get the details of the candidates who are interested or applied through social profiles. Have to login each and every social network to post jobs. What if you are using Applicant Tracking System which will help you to post jobs on different social platforms from its dashboard? Using ATS you can post job from dashboard and you can create career page on your site with any technical knowledge. It’s no secret that the applicant tracking system (ATS) has been one of the dominant sources of frustration among talent acquisition practitioners and job seekers alike. While many ATS vendors have come a long way in offering more user-friendly interfaces and intuitive workflows, many employers leverage their ATSs simply as place to store resumes and post jobs. While these features are necessary to the recruiting process, they aren't core features for which these systems were originally intended to be used. An e-recruitment system by appliview, ( Recruitment Management System - RMS), also known as an or online recruitment system, is a multi-component software tool designed to automate and facilitate the processes involved in finding, attracting, assessing, interviewing and hiring new personnel. Social media & applicant tracking system play very important roles for human resource management. In industry, one can use either human resource management software or applicant tracking software to simplify recruitment process and connected with Social Media.